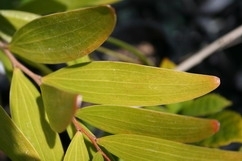 Home » Plants & Seeds » A » Acacia spp. Native small tree. Rich in tryptamine alkaloids. Wattles are evergreen shrubs or trees that generally grow to a height of up to 8m with a spread of up to 6m, however there are many smaller shrubs and some larger trees. Many Australian Acacias have phyllodes instead of leaves, others have fine bipinnate foliage. The flowers are large yellow balls or yellow racemes. The mostly black seeds develop in brown pods. 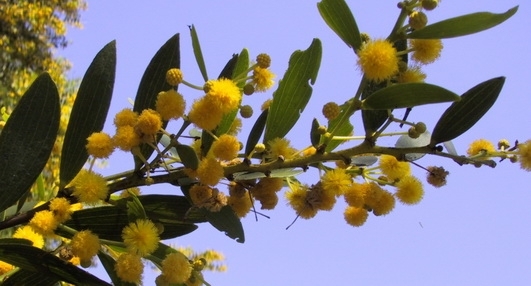 Most Acacias are native to Australia, Africa and South America, with about half the species native in Australia. They are often adaptable to many soils and conditions, and are mostly drought and frost resistant. See individual species for more detail. Propagation is by scarified seed. Cover the seeds with very hot water and let soak overnight or until they swell. Pick out those that didnt swell and repeat process with them. Sow swollen seeds immediately in seeding mix, covering with two to three times their thickness. Do not overwater or allow to dry out and provide good drainage and bright light. Should germinate within a few weeks with pretreatment or many months without. 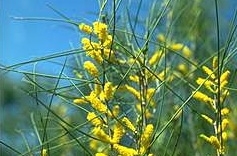 Many acacias contain alkaloids such as tryptamines. These can be found in various plant parts depending on species.